The first ever friend, that a kid experiences is toy. Toys are the companions that makes the playing experience full of fun and enjoyment, and that’s has been the signature feature of the toy collections that RightShopping.in is all featured with. This online shopping concern has always maintained its collection richness has always hosted branded offerings for its clients, and this time, the toy manufacturing majors have got all their common address at the toy specific segment that RightShopping.in maintains. The link at www.rightshopping.in/toys/index.asp is just the link that takes the kids to the absolute world of enjoyment. Toys for infants are perhaps the most challenging one to design, because kids in this age group hardly has any sense developed regarding playing with toys and enjoying. 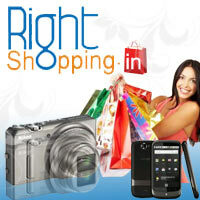 RightShopping.in has decided to make this kid enthrallment grow further, and opted for gathering all the leading brands in toy segment, so as to leave the client with multiple options, upon visiting for perfect toys and games. Brands like Barbie is specialist in doll segment, BBURAGO specializes in remote controlled toy cars, BEN 10 has rich collections in kid’s specific games, whereas BPI offers oodles of funny and animated games genre for kids in all age group. When one wishes to give his/her child the first little idea of coloring, Camlin is there with its wide ranges of pastel shade, pencil shade, water color packs. Casio is there at www.rightshopping.in/toys/index.asp a well with its quality electronic keyboards and digital drum sets. For funny and cute cartoon character featured toys, one can consider Chico, and for puzzle game collections, Dexture’s laboratory is there as well. In case one wishes to get the quality and stylish ballpoint pens, Faber Castle is there for the visitor; and a visit to the sub link at www.rightshopping.in/toys/index.asp maintained for Disney, brings the teddy and doll creatures of all the favorite cartoons under brand Disney. Kid's utility items, and while considering utensils for schools in particular, in funny designs and crafts, collections from Funskools are there at www.rightshopping.in/toys/index.asp as well.